Even if you can’t go downright designer, you can pick up an accessory or two. They are made to sell. 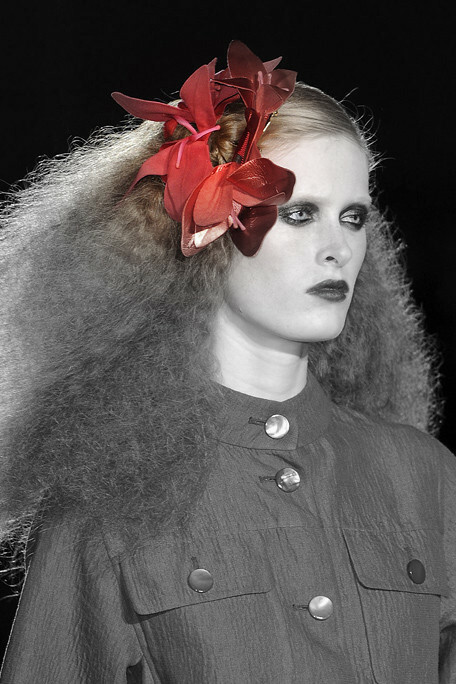 The excessory to have this season was undoubtedly the hair accoutrement. We saw it all over every recent Red Carpet. The runways couldn’t run away from this trend, this summer – and given the other Kate’s influence (this time we cannot credit Ms. Moss!) the fascination is sure to stay. The ones I loved most this season, were from Marc Jacobs. 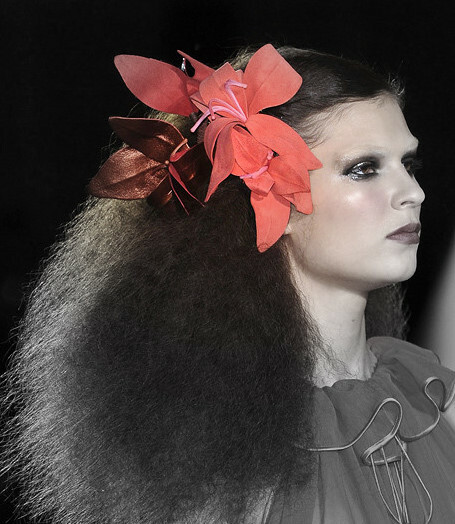 He had leather and fabric blossoms attached to the frizzy ’70s disco dos the models donned. Carmen Miranda and the City. Purrrfect for hot, sultry evenings out. Original images from Vogue.com, modified my moi.